« “This strange disease of Modern Life” Arnold. I promised you a competition earlier in the year! I think the time has come for us to have a go! It’s going to be quite simple, but quite difficult! 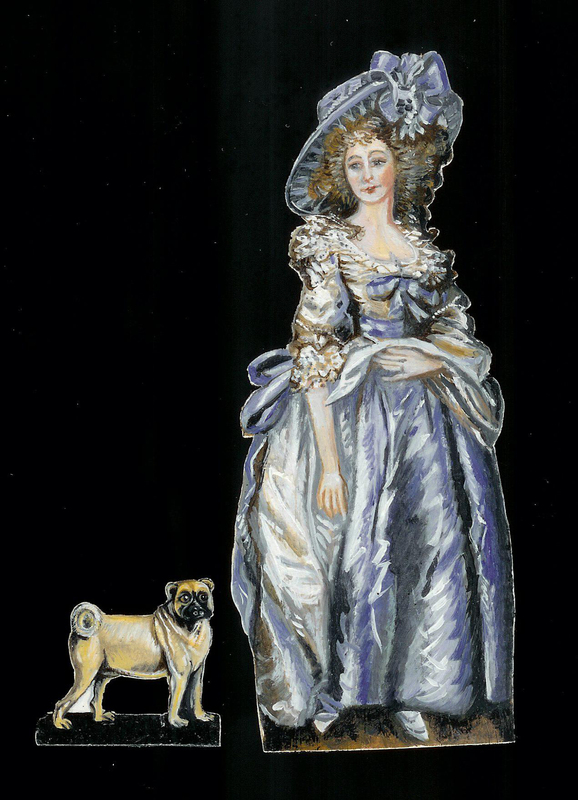 One of my HAND PAINTED, UNIQUE, NEVER TO BE REPEATED historic miniature dummy board figures, worth over £200! 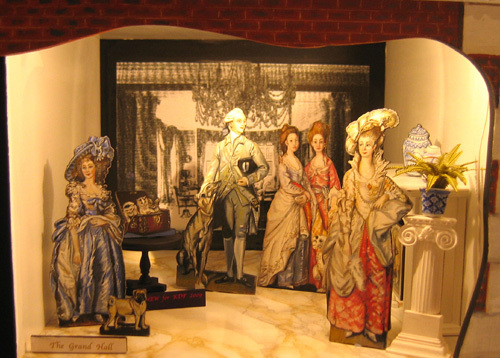 I have decided that as most people, it seems, favour the Georgian era, for their dollshouse, I will give as a prize one of my Georgian Gainsborough dummy boards. I have said it many times on this blog but….. it was the custom in the late 18th and the 19th century for artists to reproduce famous paintings as dummy boards. Sometimes they were copied perfectly. Sometimes they had the face of another person substituted for that which the original artist painted. Here is perhaps the most famous example. 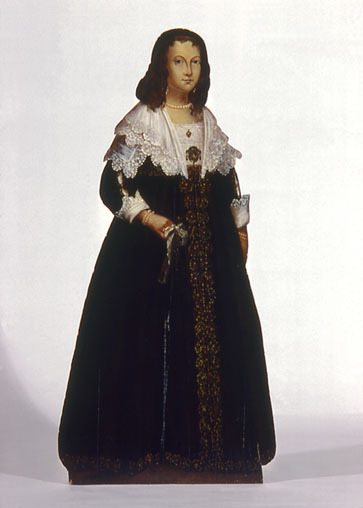 Rembrandt's Maria Tripp as a full sized dummy board. 5 ft. 19th c.
And the original on which it was based. 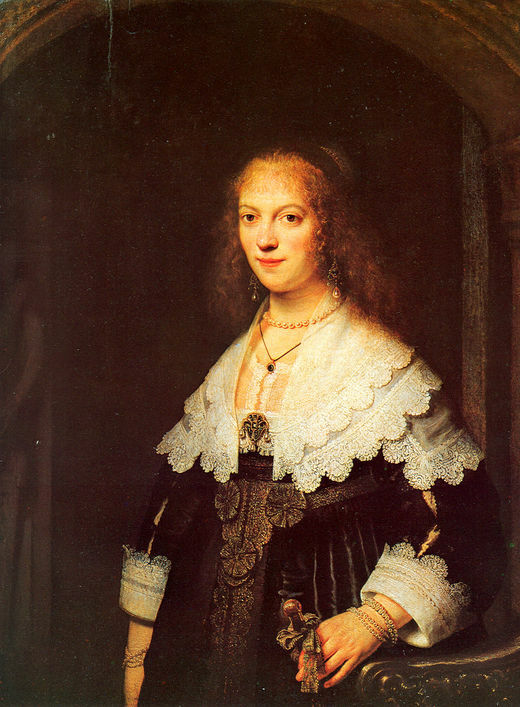 The original half portrait of Maria Tripp. 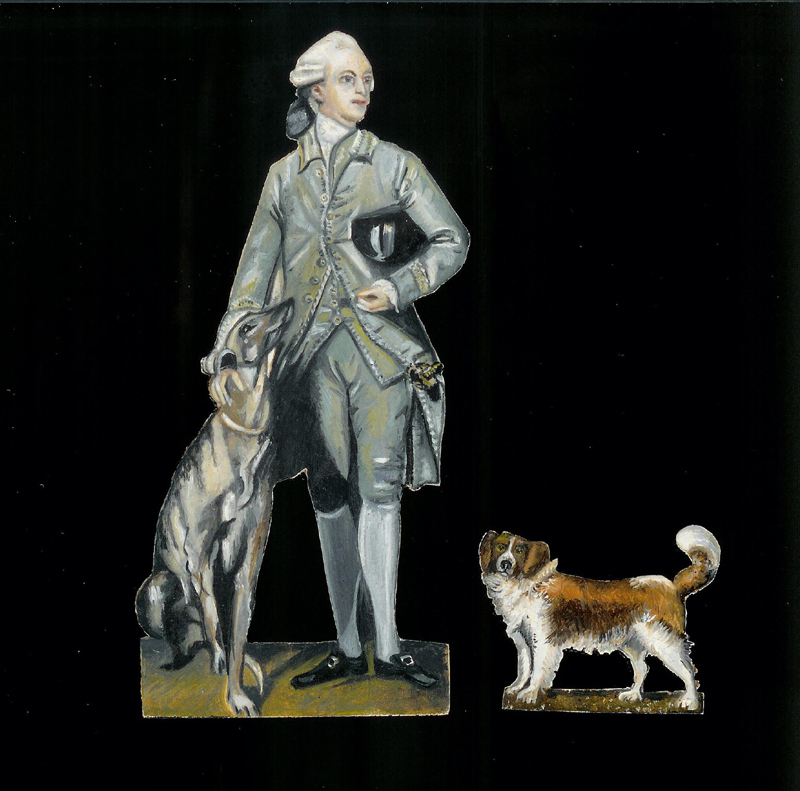 This was quite the thing to do with Thomas Gainsborough’s work and there are a few dummy boards of his lovely portraits about. I have painted four of his portraits as mini figures and am going to offer one of them as the prize in my, last, competition. Two that are real figures and two that aren’t. 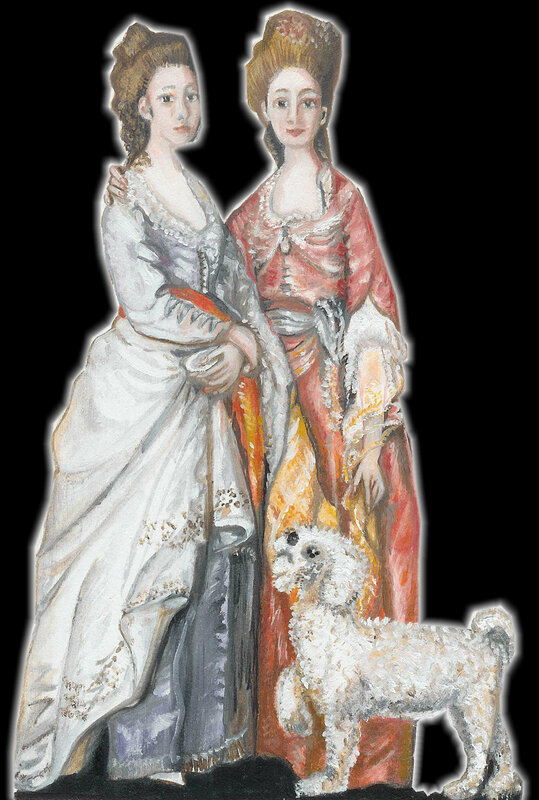 Two sisters, not a real board but one I thought would make a lovely set of figures. And I was right. The last figure, not a real dummy board, leans on a pillar and I will be offering this too in the prize. You choose. THE QUESTION YOU MUST ANSWER to win one of these figures. What is the name of the only absolutely proven, known ENGLISH historic dummy board? If I have more than one correct answer I will put names in a hat and get Stephen to draw one out. I’ll notify you by e mail and you will feature on the blog, of course. 3. Lady with Ostrich feather fan and pillar. The Romans played a dice game with four knucklebones. The Venus throw happened when each dice landed on a different side. It was the highest throw you could have and so, considered the luckiest. It was also considered the most scary, for whole livelihoods, fortunes and estates could be gambled away on it! People too I believe. This entry was posted on 24/11/2010 at 9:09 am and is filed under Uncategorized. You can follow any responses to this entry through the RSS 2.0 feed. You can leave a response, or trackback from your own site. They are all fabulous Sue, you have such a talent. Thanks Mary…hope you are going to enter! Thanks Debbie…. you are duly entered! I, too, at Debbie’s encouragement, have entered. An e-mail has been dispatched! What fun! Such uniquely lovely work.